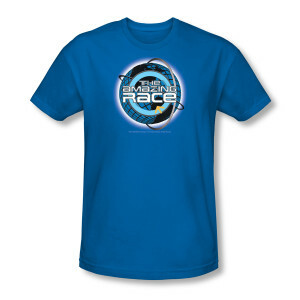 The Amazing Race t-shirt "Around the Globe" in royal blue tells people you'd rather be running the big race than sitting around. 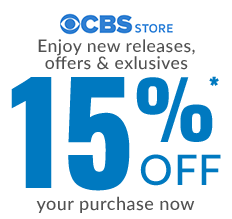 But until you get the call from the producers, embark on your own amazing journey in this new t-shirt. 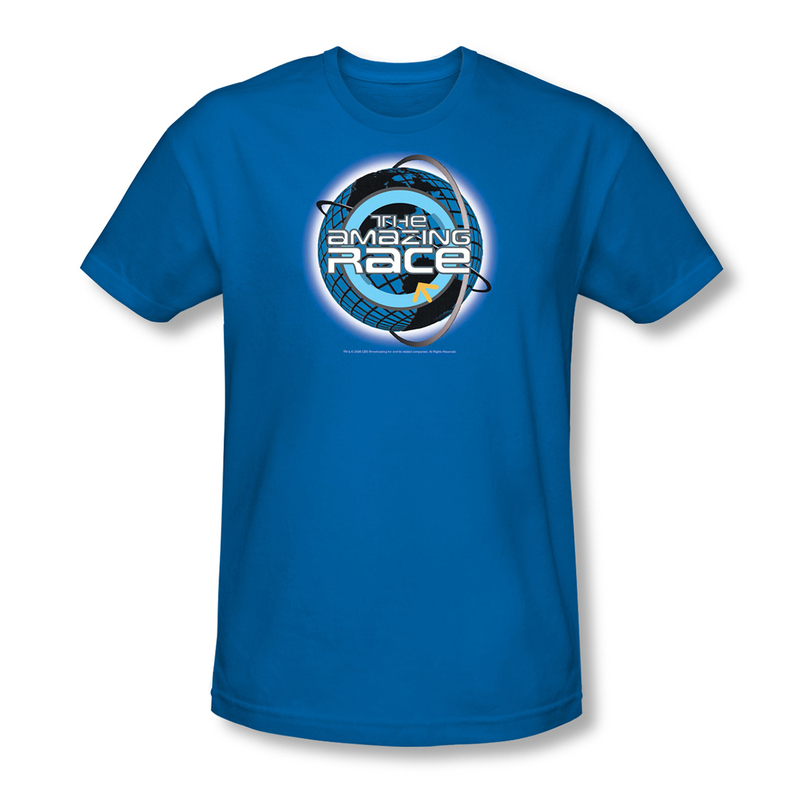 The Amazing Race TV show t-shirt, featuring a global view of the world and The Amazing Race logo, is made of 100% cotton, so you'll be certain to travel in comfort and style.